Universal Foundation Celebrated Gandhi Jayanthi function by honouring stalwarts of different field by awarding Life Time Achievement Awards.Shri.R.Nataraj IPS, honoured the function on 2nd October 2012 at R K Boys Higher Sec School (South), T.Nagar, Chennai. 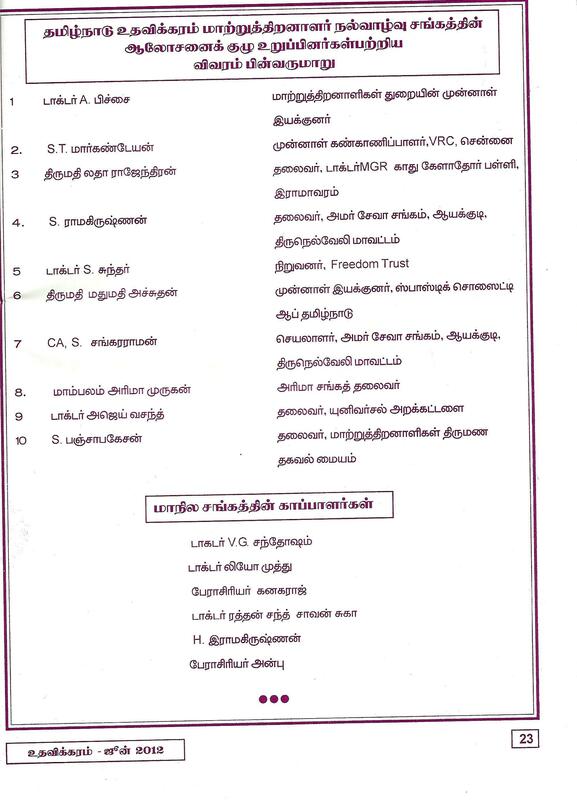 Dr.Ajay Vasant has been appointed as a Advisory member for "TAMIL NADU UDAVIKKARAM ASSOCIATION FOR THE WELFARE OF DIFFERENTLY ABLED" with effective June 2012. Universal Foundation presented "Dr.P.S.Lalitha Excellence Award" for the year 2012 for promoting "Alternative Therapy" and excellence in "Social Service". Dr.Ananda Kumar, IAS Deputy Commissioner, Chennai distributed the award on 29th January 2012 at German Hall, T.Nagar, Chennai.